Wallabies head coach Michael Cheika has named a 33-man for next weekend’s first Test match against England at Suncorp Stadium in Brisbane. 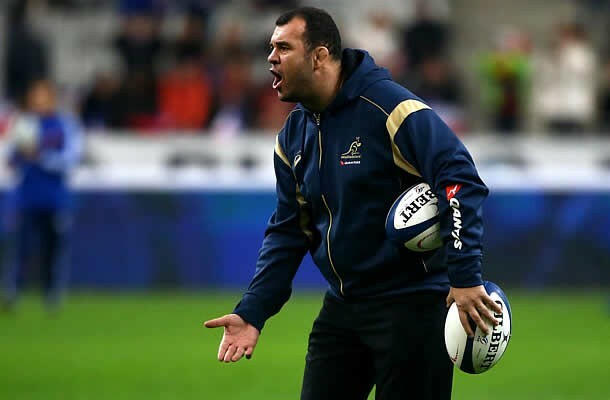 Cheika has included seven potential debutants in the squad following a training camp on the Sunshine Coast in Queensland. “We had a great week in Caloundra and the competition for spots has been intense during each of the sessions,” Head Coach Michael Cheika said. The announcement caps a whirlwind week for Melbourne Rebels young gun Reece Hodge who was a late call-up as injury cover for Rebels teammate Mike Harris. 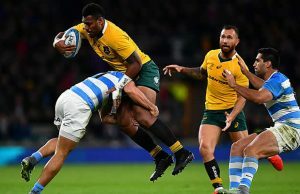 The rejuvenated squad features 22 members of the Wallabies’ 2015 Rugby World Cup squad while former Wallabies captain James Horwill (Harlequins, UK) is the only overseas based selection after the New South Wales Waratahs announced the signing of veteran prop Sekope Kepu. Kepu was granted a release from the final two years of his deal with French club Bordeaux and will now link with the Wallabies immediately after he touches down in Australia. 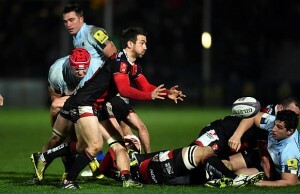 “I really enjoyed my time in France, while experiencing a new rugby culture with my family,” Kepu said. A limited number of tickets are still available for the three Test series against England which kicks-off at Suncorp Stadium on June 11.